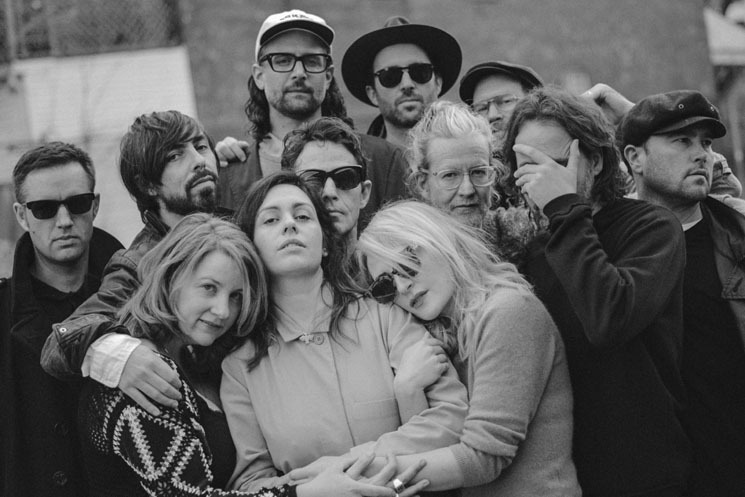 With Hamilton's Supercrawl getting ever closer, organizers have now announced that Broken Social Scene will help kick off the 10th annual event. Joining the already massive lineup, BSS will play the the TD Stage at James North & King on the free festival's opening night on September 13. Opening the evening will also be Hamilton's own versaCello. The acts join headliners such as Wintersleep, Owen Pallett, Cadence Weapon and Elliott Brood, not to mention a lineup that features Weaves, Basement Revolver, Bonjay, Buddah Abusah, Ben Caplan, Duchess Says, the Elwins, Lindi Ortega, the Pack A.D., Partner, Fred Penner & the Cat's Meow and many more. As previously reported, Supercrawl runs from September 13 to 16 in downtown Hamilton along James Street North. You can see the schedule for the 2018 fest over here.